It’s that time of year again. This author is not thinking about the chirping birds and blooming trees heralding the beginning of Spring. We are thinking about another sign of the season– the first time home purchaser. This post will address issues pertaining to the person buying a home, whether a house or a cooperative or condominium apartment, for the first time. 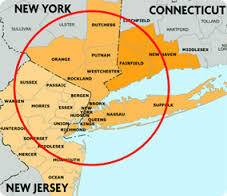 Even if a person has owned a home in another state, real estate in New York is its own animal. The most important aspect of our advice is that the first time homebuyer should surround himself with seasoned experts throughout the process. In addition, let the experts do their work without your interference. It is usually better for a first time homebuyer to work with a licensed real estate agent and to buy a property that is listed with a real estate agent, as opposed to buying a home that is listed for sale by owner. That way, the real estate agents will resolve many of the issues that commonly develop in a transaction. If both parties are not represented by real estate agents, then the buyer may not know how to best negotiate a favorable price. Comparable sales should also be evaluated to determine the proper price to be offered by a buyer. A real estate agent knows the area best, but also has the resources to locate the comparable sales data and to evaluate the data properly. The first time homebuyer should also get his finances in order. He should become acquainted with a potential lender or mortgage broker prior to making offers. His offer is more likely to be accepted if accompanied by a pre-approval letter, so that the seller is comfortable with taking the property off the market for this buyer. In addition, the proposed lender or mortgage broker may note possible deficiencies in the buyer’s potential loan application, such as inaccurate credit concerns, the necessity of reducing debt and the like. Given the amount of the typical downpayment to purchase a property in the New York metropolitan area, first time homebuyers may need a gift from their parents or other relatives to pursue the transaction. The buyer should discuss this with the appropriate person in advance. Further, once the gift is made, the parties need to be prepared to show the source of the gift, such as copies of bank statements before and after the gift, from the parent and the child. If a house is being purchased, an inspection is customarily conducted. Most buyers pay more attention to the ascetics of a home, instead of its building systems. Attending the inspection and allowing the inspector to demonstrate safety features such as the details of the electric box and water turn-off will be helpful once the buyer owns the home. It is crucial to engage the services of an attorney who is not only experienced, but who also is an expert in real estate matters. That way, only the matters that are customarily negotiated will be addressed, so as not to prolong negotiations and irritate the seller. In addition, should unforeseen complications arise after review of the title report and survey , your attorney will be prepared and knowledgeable in addressing the issues. Some buyers want to be involved in every aspect of the process. While we encourage our clients to enter transactions with a full understanding of the details, it is not fruitful for buyers to see every draft of the contract circulated between the attorneys. This gives rise to requests for the negotiation of non-customary requests and also delays the process. If you have engaged an experienced real estate attorney , allow the attorney to do the work necessary to negotiate the contract. In an active spring market, it is important for buyers to act quickly so that another purchaser does not make a higher offer for the property. Our attorneys are prepared to patiently and expeditiously respond to the inquiries of first time homebuyers throughout the process.